The 39th Annual Elsie Quarterman Cedar Glade Wildflower Festival, in coordination with the Department of Cedar Glade Studies at Middle Tennessee State University, is Friday & Saturday, 29-30 April 2016 at Cedars of Lebanon State Park. Activities will include hikes to various cedar glades in search of endemic and spring ephemeral wildflowers, birding walks, scavenger hunt for the kids, lectures, and much more. The schedule of events is forthcoming. Stay tuned. 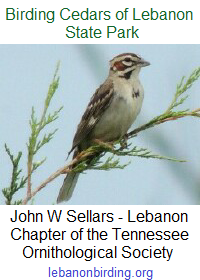 This entry was posted in Announcement and tagged cedar glade, Cedars of Lebanon State Park, Elsie Quarterman, Lebanon TN, Tennessee State Parks, wilson county. Bookmark the permalink.